This policy applies to all exempt, non-faculty employees of The Evergreen State College. 1. Civil service-exempt, non-faculty employees of The Evergreen State College are “at will” employees and, therefore, serve at the pleasure of the college. In the absence of a specific written agreement, an exempt, non-faculty employee may separate from employment or end their exempt appointment at any time and for any reason. The Evergreen State College may end the appointment of an exempt, non-faculty employee for reasons such as but not limited to: the employee’s resignation, discharge, or retirement; the expiration of the grant and/or project; a reduction in the workforce; the discontinuation of a program, work unit or facility; and/or for any reason not prohibited by law. Typically, exempt employee separation notices from the President or reporting Vice President will be reviewed by Human Resource Services before final action is taken. 2. The Evergreen State College is committed to providing a reduction in force procedure for exempt, non-faculty staff that ensures that reduction is force is administered with minimal disruption to employees and the business function of the College. In the event of a reduction in force, the President, reporting Vice-President and/or designee, in consultation with the Associate Vice President for Human Resource Services and/or designee, will determine the exempt, non-faculty position(s) to be eliminated, furloughed, or not filled. When applicable, notice to the employee of any entitlement to request placement on internal and statewide layoff list(s). 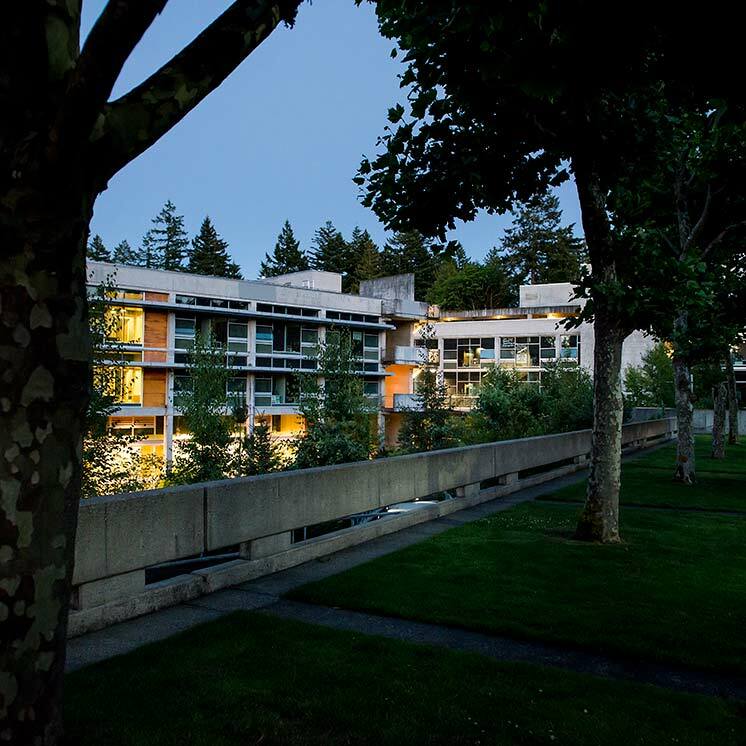 The Evergreen State College reserves the right and discretion to implement a furlough and/or permanent reduction in force without advanced notice. 3. The college may take steps to avoid or minimize the impact of a reduction in force. The President, reporting Vice President and/or designee, in consultation with the Associate Vice President for Human Resource Services and/or designee, will consider and may authorize alternative actions whenever practical, and when such actions can be taken without undue disruption to business operations. Such actions may include, but are not limited to, furloughs; voluntary employee requested transfers, demotions, reduced work schedules, and leave without pay; and hiring controls. Voluntary Reduction, Leave without Pay, or Reduction in Hours: An exempt, non-faculty employee may request a voluntary reduction, leave without pay, a reduction in compensation, or reduction in hours of work to reduce the impacts of a reduction in force. If it is necessary to limit the number of exempt, non-faculty employees who are on unpaid leave at the same time, the President, reporting Vice President, or designee, in consultation with the Associate Vice President for Human Resource Services and/or designee, will determine who will be granted a leave without pay and/or reduction in hours based upon business and staffing needs. Furlough : The President, reporting Vice President, and/or or designee, in consultation with the Associate Vice President for Human Resource Services and/or designee, may furlough an exempt, non-faculty employee. When an exempt, non-faculty employee is furloughed, the employee will not be entitled to be paid any leave balance when the furlough is due to financial exigency or financial emergency. When the furlough is for reasons other than financial exigency or financial emergency, upon the request of the exempt, non-faculty employee, the employee will be paid for accrued vacation leave up to the equivalent of his or her regular work schedule for the duration of the temporary reduction. 4. In some cases, exempt, non-faculty employees may have reversion rights to classified positions. Provided that the exempt, non-faculty employee was not terminated from their exempt position for gross misconduct or malfeasance and in accordance with RCW 41.06.070, a permanent employee in a classified position who accepts an appointment to an exempt position has the right to return to classified service. The seniority of the employee returning to a represented position in the classified service will be subject to the terms of the collective bargaining agreement between The Evergreen State College and the exclusive bargaining representative. The seniority of the employee returning to a non-represented position in the classified service will be subject to WAC 357 and The Evergreen State College’s “Layoff Procedure for Classified, Non-Represented Staff”. Separation from employment in any subsequent exempt position if there is no break in state service of more than thirty (30) calendar days between initial and subsequent exempt appointments. An employee hired directly into exempt position does not have the right of reversion to a classified service position. In the absence of a specific written agreement, exempt, non-faculty employees are free to resign at any time and for any reason. The college requests that exempt, non-faculty employees give advanced written notice of their intent to resign or retire so that an orderly transition may be made. Exempt, non-faculty employees are requested to give the written notice to their supervisor. Supervisors shall send notices of resignation or retirement to Human Resource Services. All other exempt employees should give at least two (2) weeks’ written notice. If a resigning or retiring exempt, non-faculty employee is unwilling or unable to put the resignation or retirement in writing, the supervisor, in consultation with the Associate Vice President for Human Resource Services and/or designee, may confirm in writing to the employee both the date of the resignation or retirement, and indicate that the college accepts the resignation or retirement. Upon submitting his or her resignation, the resignation is deemed accepted, unless mutually revoked by the employee and the President, reporting Vice President and/or designee to which the position reports. 6. Nothing in this end of appointment policy shall be construed to negate the rights of The Evergreen State College to transfer, promote, demote, dismiss or separate any employee.